Partygoers were robbed, and one was pistol-whipped as they left a late night house party in Elk Grove. 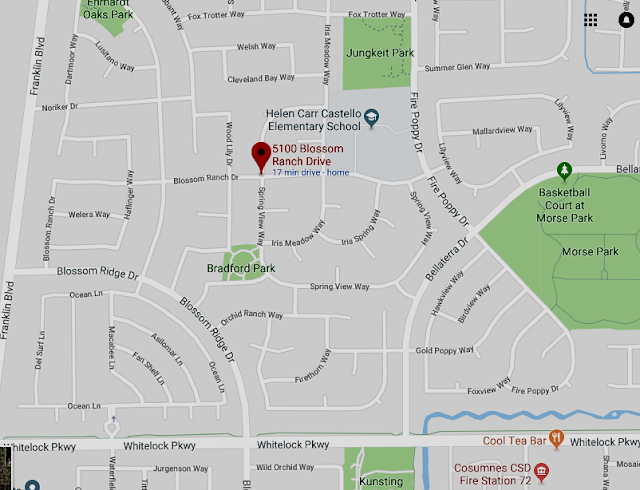 According to Elk Grove Police, an unspecified number of people leaving a house party on July 19 on the 5100 block of Blossom Ranch Drive when they were approached by two men armed with firearms. The armed robbers demanded the victim's personal property with one of the suspects hitting one of the victims in the head with their gun. After the victims complied, the suspects fled in an awaiting vehicle. The suspect who pistol-whipped the victim was described as a black male approximately 16 to 18 years of age wearing a grey hoodie, and red shorts. The other suspect was only described as a black male adult. The getaway car was described as a grey four-door sedan.